It’s that time of year – the leaves are beginning to change colors up north and the first hints of the impending winter chills now remind people living in places like Canada, New York, New Jersey, Indiana, Ohio, Michigan, Pennsylvania and more that having a warm relaxing vacation home in Clearwater Florida is a great idea and we have some real bargains now too. 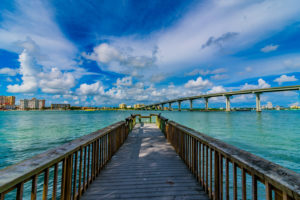 I had a call this week asking if now was a good time to buy a Clearwater Florida condo – my belief is “yes”. We have seen prices their lowest in almost 2 years and now we are seeing properties in Clearwater that are priced right are selling. Because of the excess supply we’ve helped Clearwater condo buyers negotiate great deals. We are even seeing hundreds of beach condos for under $250,000 – that’s not something you could have found a year ago. Forbe has predicted that the Tampa Bay area may have a “V” recovery – and with a sharp rise back to previous values the buyers on the fence may have missed their window of opportunity. You can rent this Clearwater luxury condo weekly when you’re not using it. Fewer and fewer communities are allowing this and so it is getting harder and harder to find this option. For a real estate investor or seasonal resident hoping to buy a condo that will break needs to have this option. This Clearwater Condo allows pets – many second home owners want to bring their pets, including dogs for their extended stays and again this is an option that most Clearwater area condos don’t allow. There are no age restrictions in the luxury condo community so you have all options on renting or even having family come and use it when you’re not. This is an often overlooked restriction. Typically Clearwater condos that don’t have age restrictions have a higher value since they can draw from a larger condo buyer pool. This luxury condo has an amazing resort style pool area so you could have a great time never leaving the premises. Take a look at the photos and imagine relaxing by the bubbling spill-over pool. Cook out with friends, read that book you’ve been waiting to read or just get your daily Vitamin C the natural way! This luxury condo is in a secure, gated community for additional peace of mind and additional security when you’re here. Finally, with this Clearwater luxury condo you’ll be very close to the beach (just 3.5 miles to Pier 60 on Clearwater Beach) – back your flip flops and towels – we provide the crystal clear beach water, the sugar white sand and the sunsets that put any painting to shame – Does life get any better than this? This is truly a GREAT IDEA to share!! Sounds like a win-win all the way around Cyndee!